In Africa, Caracals are known as “Little Lions” due to their fierce and spunky demeanor. They pack a big punch in their small bodies! 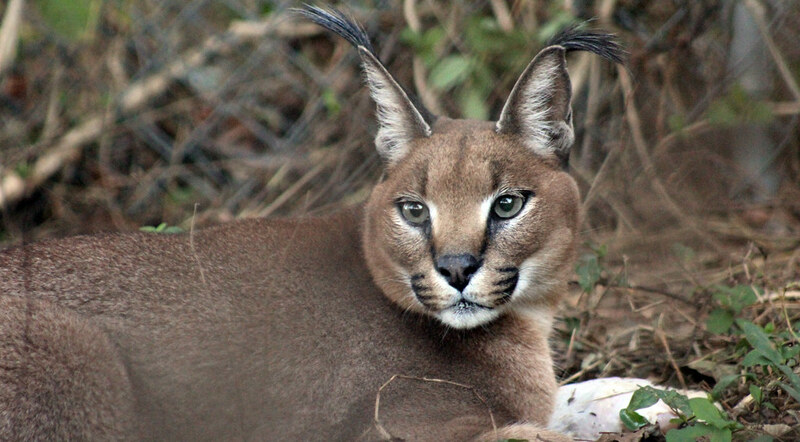 The long tufts of hair on the caracal’s ears are somewhat of a mystery, but scientists have a couple theories. One is to actually attract birds, their favorite prey. They sit in the tall grasses and flick the tops of their ears, fooling birds into thinking they are insects, causing them to come down closer, making them easier to catch! Caracals are considered crepuscular, meaning they are most active at dawn and dusk. Caracals are excellent jumpers and can jump up to 13 feet in the air! Though caracals are not considered endangered, their numbers are decreasing due to habitat loss. Caracals are sometimes poached by farmers if they are thought to have killed livestock. Caracals love hunting guinea foul, a ground dwelling bird that makes easy prey for the cats. Caracals are considered small cats for many reasons: they purr instead of roar, they have larger back legs than front legs to help them make high leaps. 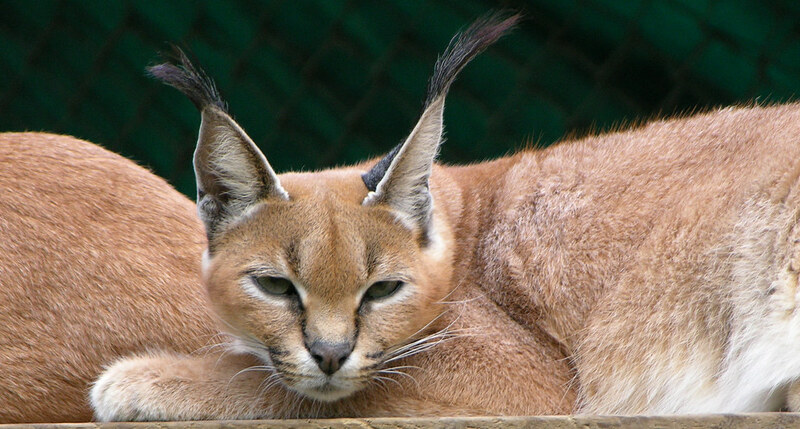 Caracals help keep down the rodent and bird populations and are therefore a keystone species. Caracals are found from Africa over into the Middle East, where sometimes they are kept as pets. Caracals are solitary animals that only come together to mate. It is important to know and understand that every animal in the ecosystem is vital to its balance. Without caracals, the rodent and bird populations would become so large that they will deplete the natural resources of Africa. Protecting every species, even predators, is vital to the survival of healthy ecosystems.